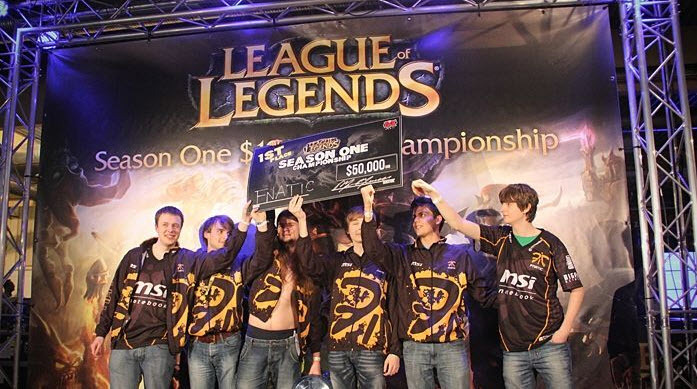 In this article we have a look back at how the 2011 League of Legends World Championship Season 1 turned out. Back in 2011, the first Lol Worlds tournament was nothing compared to what it is today. With only 100k in prize money, and just eight participant teams crowded in a small convention center in Jönköping Sweden, chances are many fans are not too familiar how the first ever LoL worlds played out. For starters, the group stage and subsequent bracket stage of the tourney had only 2 groups of 4 teams. The first place would automatically secure a semifinal spot in the bracket. While the 2nd and 3rd place teams would face each other in the quarterfinals. Group A had teams Fnatic, Pacific Esports, Against All Authority (AaA) and Epik Gamer. Surprisingly, if we look back Fnatic ended up third in the group stage while barely qualifying for the quarterfinals. But back in 2011, there was no easy wins as all teams were pretty evenly matched. Making even the bracket stage extremely difficult. Epik Gamer finished the group stage in first place winning all their games. Considering it was an American stronghold that included star players Dyrus and Doublelift, it was not surprising why they were so dominant. Against All Authority wrapped up groups in second with a 2-1 record. AaA had amazing players such as sOAZ and Yellowstar. Both of which Fnatic would eventually recruit later on. Fnatic finished third, it’s only win coming against Pacific Esports. It was up to xPeke and Cyanide to carry the team in the quarterfinals if they wanted to make a run at the championship. Group B ended up with a tie for first place between Team Solo Mid and Counter Logic Gaming. Both teams being powerhouses of North America. It’s nostalgic to think of the original TSM with Reginald and TheOddOne. Since the whole “Solo Mid” idea was after the team played around Reginald before Bjergsen took his place in 2014. But nonetheless, TSM was awarded first place in the group, and most of it was at the hand of Reginald and his Annie and Twisted Fate. Third place needed a tiebreak between Team GAMED.DE and Xan. 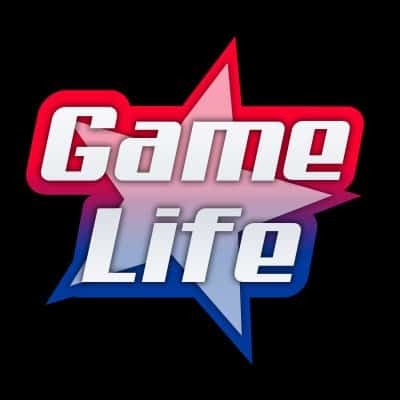 With GAMED.DE making through the bracket stage. The 2011 team was remarkable. An all-German roster, with players like Candy Panda and Nyph, which bolster amazing careers at EU LCS (now LEC). After a struggling 1-2 record in the group stage, Fnatic was looking to prove they could go all the way, and did exactly that. The roster steamrolled their way match after match. They defeated CLG 2-1 in quarters, Epik 2-0 in semis, and finally AaA 2-0 in the finals, helping them qualify for the Grand Finals. Both TSM and Epik struggled in the semifinals after amazing group stage performances. Just like Fnatic, AaA had a very similar run, but ended up on the losers side after getting beat by Fnatic. However, AaA would get another shot at them after beating TSM in the final losers bracket, setting up the rematch Grand Final against Fnatic. Sadly for AaA, Fnatic would not be denied, and pick ups such as Jarvan IV and Karthus proved to be extremely efficient against all the other teams they were playing. In the end, Fnatic won the Grand Finals 2-1 and crowned first ever champions of League of Legends. 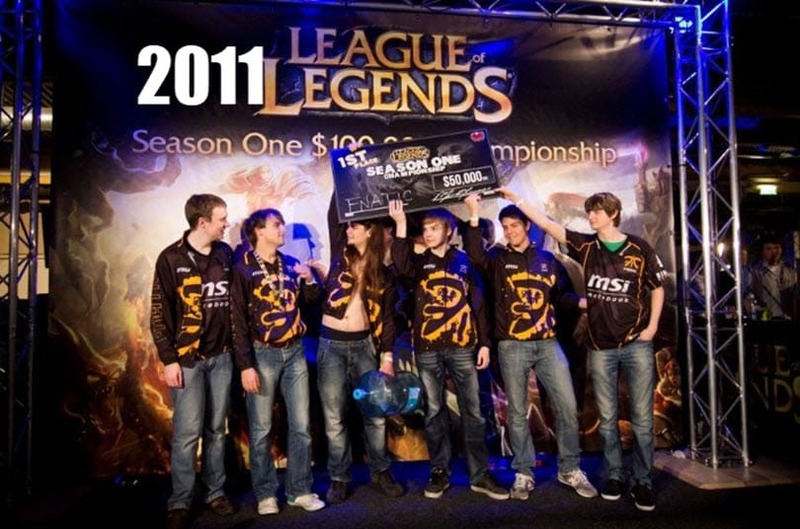 Soon after, the name Fnatic would become one of the most important esports brand names in Europe, with the game growing to such an extent, that the 2011 players would become living legends in their community. During the Epik Gamer vs AaA group stage match, the Vayne – Janna duo of Epik’s bot lane managed to kill, in lane, the opposing Miss Fortune under turret, and escaped with their lives as AaA’s Amumu and Soraka retaliated. Westrice as Vayne showed some amazing gameplay and support from Doublelift with Janna using some clutch shields to keep Vayne alive. In the TSM vs Epik Gamer losers bracket matchup, Reginald showed his moves with his Twisted Fate, always being in the right place at the right time. He offered so much control with Pick a Card, the several Flash + Yellow Card he pulled off were game changing. Finally the all famous cross-map Crystal Arrow of Yellowstar, playing as Ashe in the ADC position for Against All Authority in the Grand Finals. He shot the ultimate from fountain just as he respawned and managed to hit a running Janna so sOAZ as Irelia could killed her and secure an inhibitor. Simply amazing calculations.